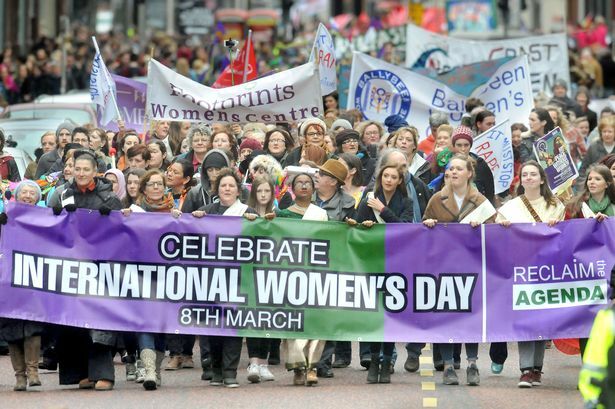 CAMPAIGNERS FOR WOMEN’S RIGHTS AND EQUALITY SPEAK OUT ABOUT THE IMPACT OF STORMONT STALEMATE. The results of a survey released today by the Women’s Resource and Development Agency reveal the impact of having no government at Stormont on women’s community organisations and campaign groups. 80% of those surveyed said they have continued to lobby decision makers in the 19 months since the collapse of the Executive, but the majority felt that it is now much harder to make progress on the issues that affect their organisations and communities. The 48 respondents to the survey represent community based women’s centres, regional umbrella organisations, activist groups, specialist service providers and other types of organisations such as trade unions, carers’ groups and arts organisations. When asked to rate the extent to which they felt the absence of a functioning Executive and Assembly had damaged the work of the women’s sector, the majority felt that it has been ‘extremely damaging’. The most common issues that the women’s sector continues to lobby on are funding for women’s services, legislation on domestic and sexual violence and progressing the inclusion of women in politics and peacebuilding. Other issues of concern were the impact of welfare reform on women, childcare provision and abortion law and access. However when asked what they think the most effective avenues are for lobbying in the current political situation, the majority put MLAs at the top of the list. This was very closely followed by councillors. It is clear that political representatives are still working on behalf of the people, however, comments from the survey confirm that the real problem is their lack of decision-making power. While a significant number of respondents highlighted that civil servants or council officials can be effective at progressing issues, there are severe barriers caused by their lack of authority to make key decisions. The survey also revealed that very few campaigners in the women’s sector think that lobbying MPs is an effective way to get decisions made, with only 4% of respondents ranking MPs as their first choice. Respondents to the survey spoke of the urgency with which they believe law, policy and services that affect women’s lives need to be dealt with. The impact of austerity and changes to the welfare system was the most commonly mentioned area of concern. The lack of a childcare strategy or any policy to make childcare more affordable and accessible was the next most common priority issue, followed by funding for community based women’s services often located in areas suffering the highest levels of deprivation. Abortion law reform and domestic abuse protections like the stalled coercive control and stalking laws were next on the list. There were a range of views as to how best to solve these pressing issues with some advocating a return to the Stormont institutions as quickly as possible while others felt that more could be achieved under direct rule or that fresh elections would be needed to see progress. However, with a number of respondents also highlighting that issues like equal marriage, abortion law, and dealing with the legacy of the past are central to ensuring the sustainability of future government here, it is clear that the women’s movement is not saying ‘Stormont at any cost’. The survey also highlights that many in this sector did not feel much was being done to progress issues of women’s rights and equality before the Executive collapsed and do not wish to see a return to the status quo.